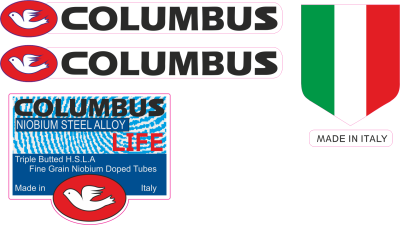 Columbus have produced many different tubing types, here are but a few of them. please keep checking, more will be added. 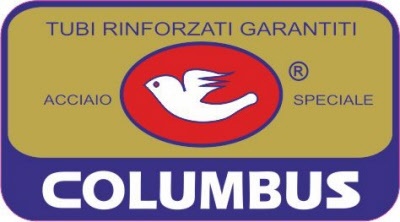 Classic Columbus logo, printed onto high quality 70 micron vinyl in superb definition. 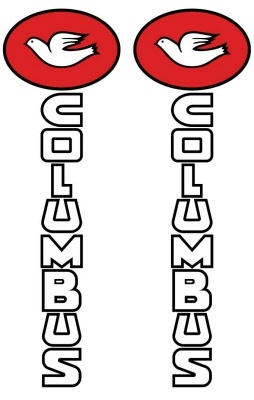 Set includes 1 x seat tube, 2 x forks. 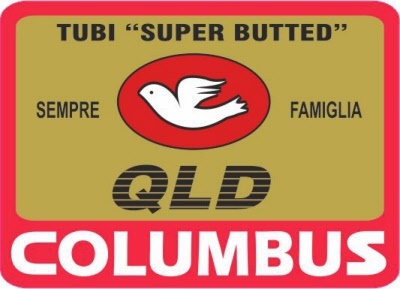 EarlyColumbus logo, printed onto high quality 70 micron vinyl in superb definition. 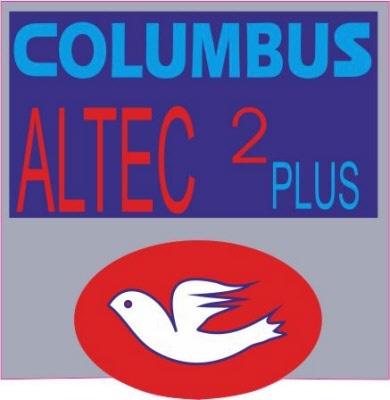 Classic Columbus Altec 2 plus logo, printed onto high quality 70 micron vinyl in superb definition. 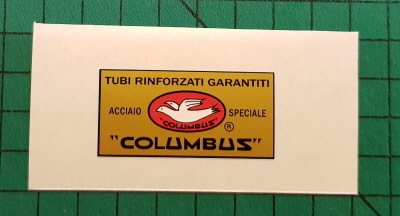 Digitally re-produced and printed in a lush gold metallic ink. I'm not sure what era this is from, but I think it would be 60's or 70's. Classic Columbus SL-SP for Chesini, printed onto high quality 70 micron vinyl in superb definition. 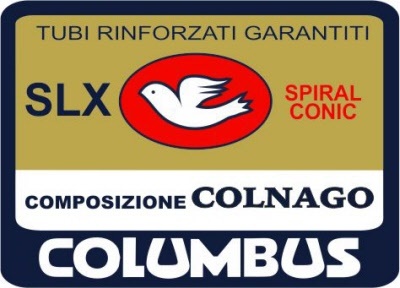 Classic Columbus SLX for Chesini, printed onto high quality 70 micron vinyl in superb definition. 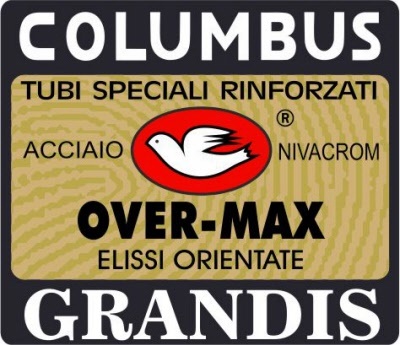 Classic Columbus SL-PX for Chesini, printed onto high quality 70 micron vinyl in superb definition. 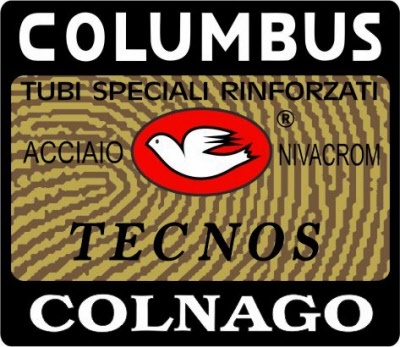 Vintage Columbus logo, printed onto high quality 70 micron vinyl in superb definition. Columbus logo for Fondriest SLX, printed onto high quality 70 micron vinyl in superb definition. 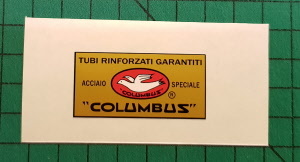 Very rare Columbus tubing decal, so rare I have only ever seen 1 of these! 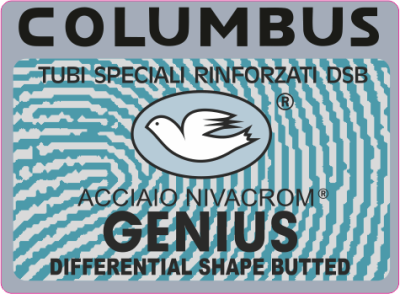 Classic Columbus Genius logo, printed onto high quality 70 micron vinyl in superb definition. 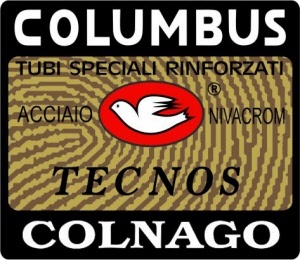 Classic Columbus NIOMBIUM complete set, printed onto high quality 70 micron vinyl in superb definition. Classic Columbus SLX logo, printed onto high quality 70 micron vinyl in superb definition. 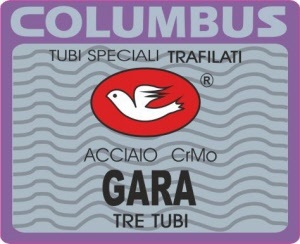 Columbus TSX, printed onto high quality 70 micron vinyl in superb definition. 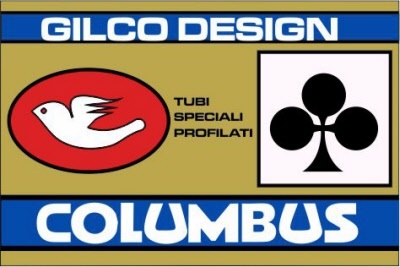 Columbus TSX set, printed onto high quality 70 micron vinyl in superb definition. Quite rare Columbus set, printed onto high quality 70 micron vinyl in superb definition. 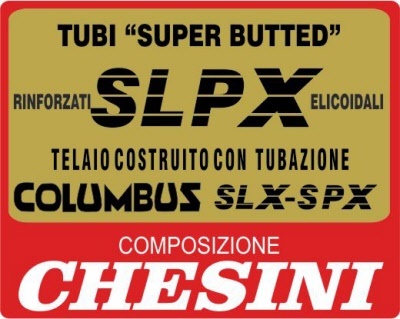 Set includes seat tube x 1 plus 2 x forks. Only seen this set on an Olmo, but it must have been used by others? Digitally re-created and printed onto quality vinyl. Price is for a pair (as picture). Sized at 27 x 86 mm each one. Perfect to complete that renovation.